Building Materials is the largest hardware and building supply store in the Turks and Caicos. Building Materials on Providenciales is one of the few businesses in the Turks and Caicos which exceeds what one would expect in a similar store in the United States. Their stock selection, staff, and quality of service is higher than what is offered at a HomeDepot or Lowe's in America, and sets an excellent example for other businesses in this country to follow. Building Materials Do It Center, Providenciales. 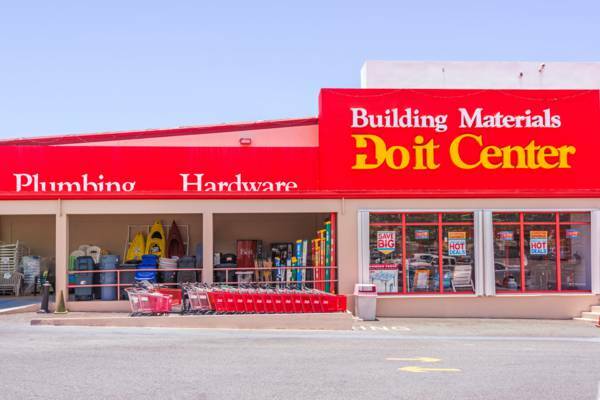 The expansive Building Materials Do It Center is located in central Providenciales on Leeward Highway. It is the largest and best-stocked building supply and home furnishing store in the Turks and Caicos. There’s a full range of hardware, plumbing, electrical, gardening, tools, lumber and bulk building materials for sale, including sand and gravel by the ton, aggregate blocks, and rebar. The extensive indoor lumber yard carries a wide selection of dimensional lumber, hardwoods, plywood, cement, roofing materials, and much more. There’s also a rental fleet of equipment, including worksite lighting, compactors, post hole drillers, trenchers, chop saws, and more. Building Materials also offers a design showroom that displays a great selection of floor tile, interior lighting and fixture styles. Also found onsite is a great selection of beach and sports items. There are coolers, beach chairs, ocean toys, fishing and marine supplies. Building Materials also stocks the island’s best array of kitchen and interior appliances, cookware, cutlery, and décor. Last reviewed by an editor on 19 December 2018.